As you can see in the error message that some other computer is also having the same IP address as your computer, on the same network. It may be caused because of a glitch with your PC Settings or Router. You can try the following solutions to troubleshoot this problem. Error “Windows has detected an IP address conflict” can occur because your router for some reasons fails to assign appropriate IP address to your computer. In such case try restarting your router to fix this issue. Press the power button on your router to turn it off, after a while again press the power button to start the router. 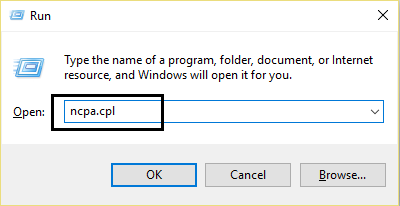 Press Windows + R to open Run dialog box, then type ncpa.cpl and hit Enter. Right-click on your wireless adapter and select Disable. Again right-click on the same adapter and this time choose Enable. Type ncpa.cpl in the box and hit Enter to open Network Connections. 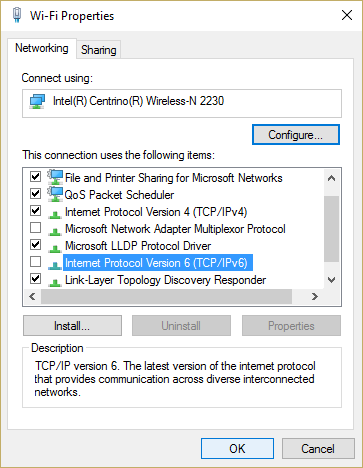 Right-click on your Network Connection and choose Properties. 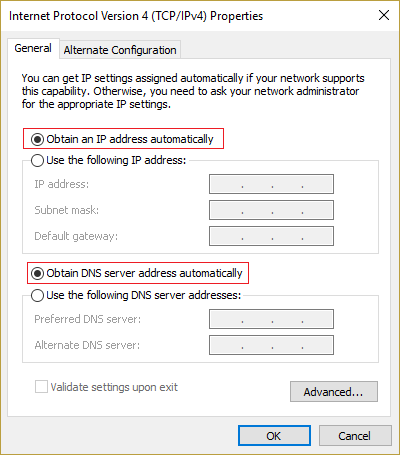 Check mark Obtain an IP address automatically and Obtain DNS server address automatically. Type cmd in the search box from the Start menu. Right-click Command Prompt and choose Run as administrator. Now check if the error still exist.